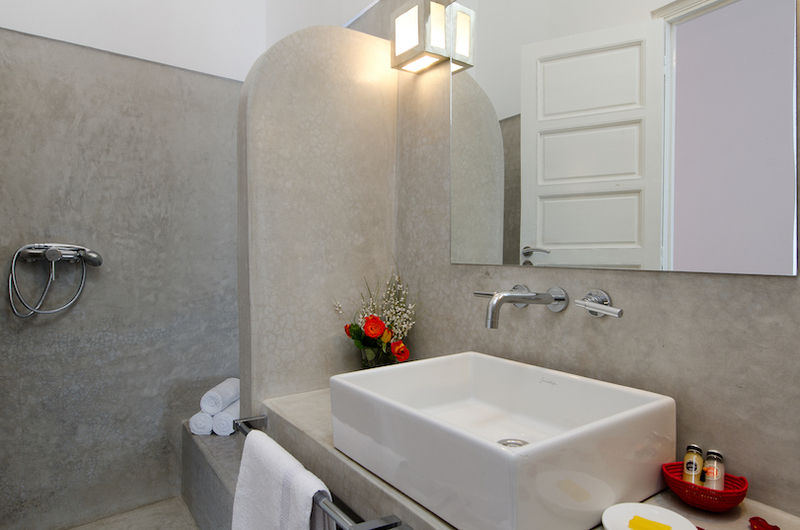 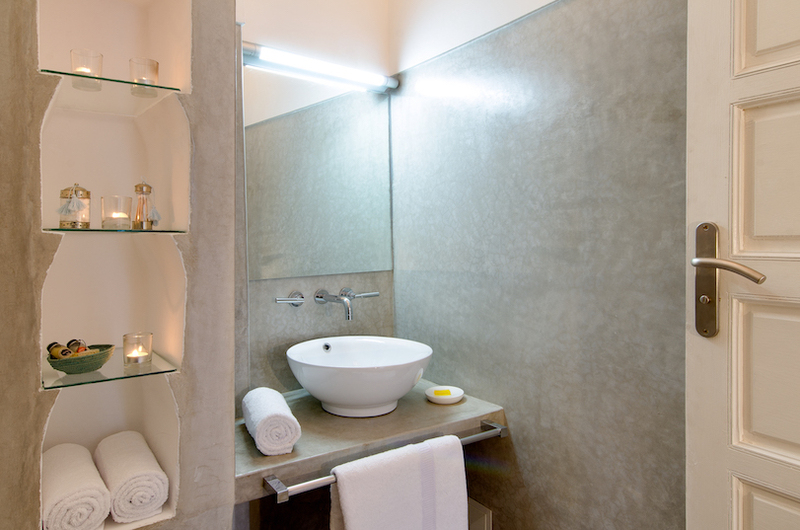 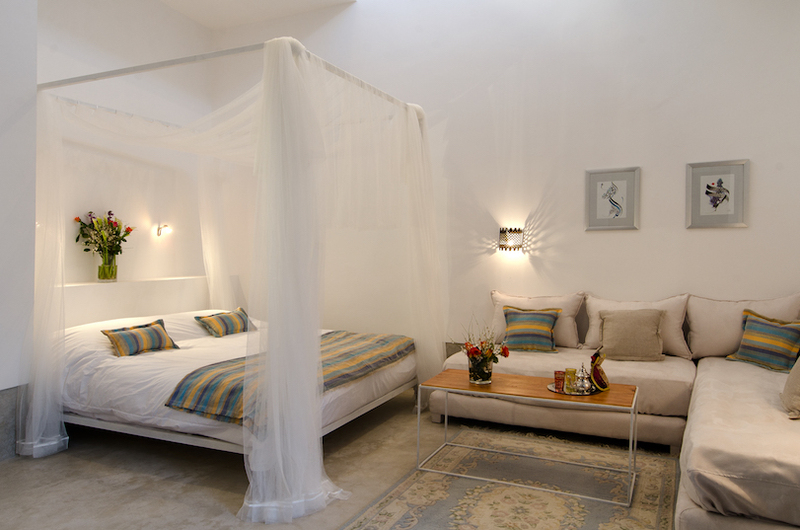 Riad Sapphire and SPA offers 8 lovely suites, each with a bathroom, heating and air conditioning. 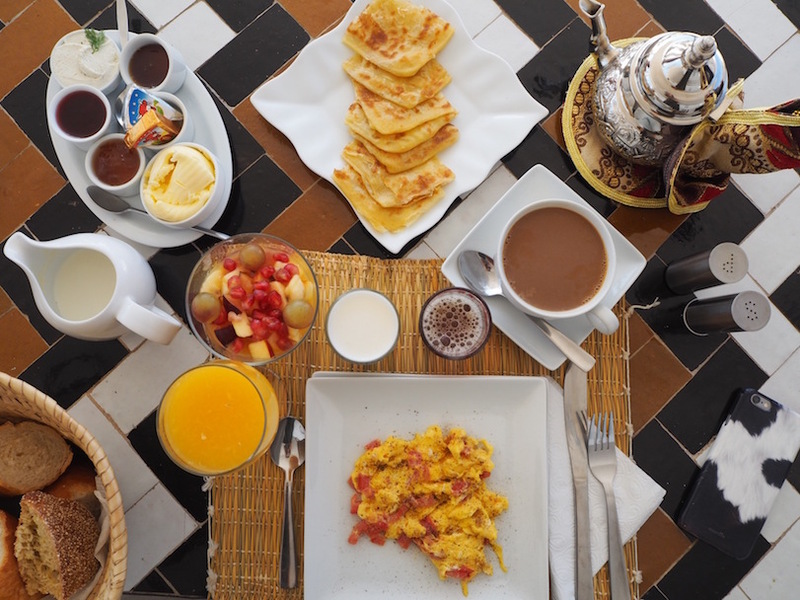 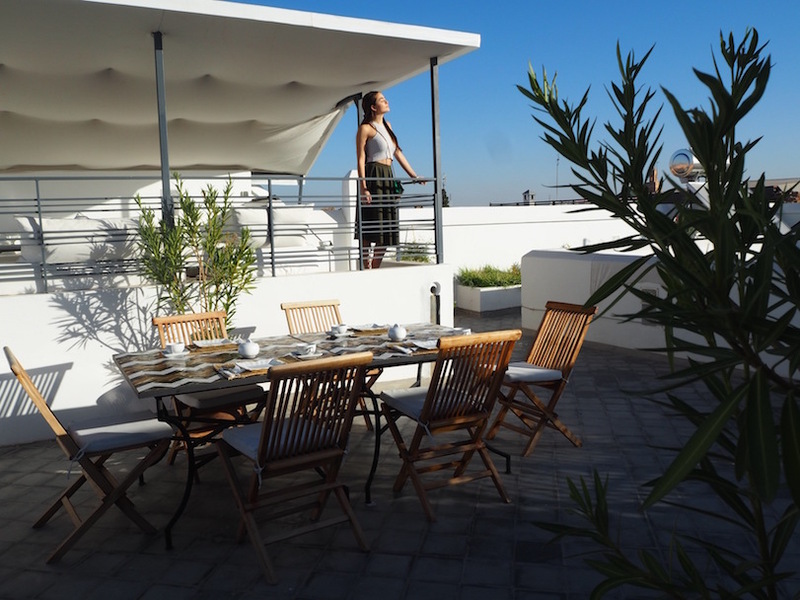 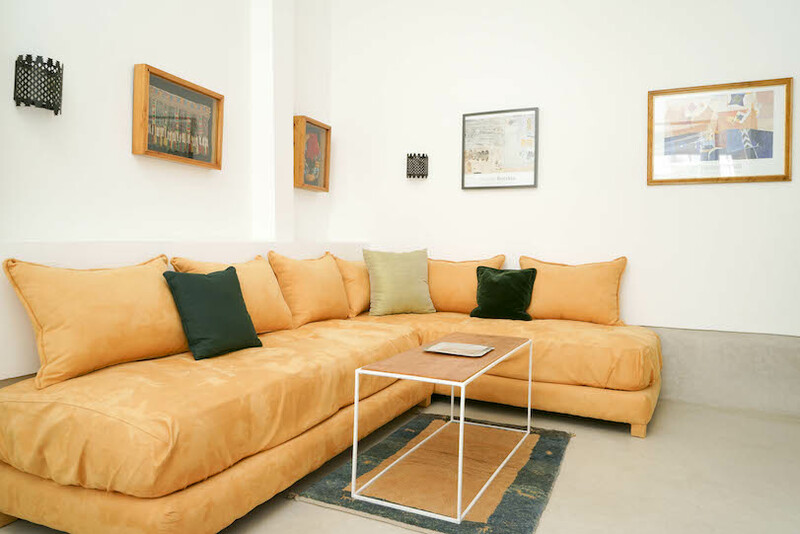 The accommodation includes a freshly- prepared breakfast, and guests have a complimentary bottle of mineral water in their room upon arrival and welcome Moroccan mint tea and pastries. 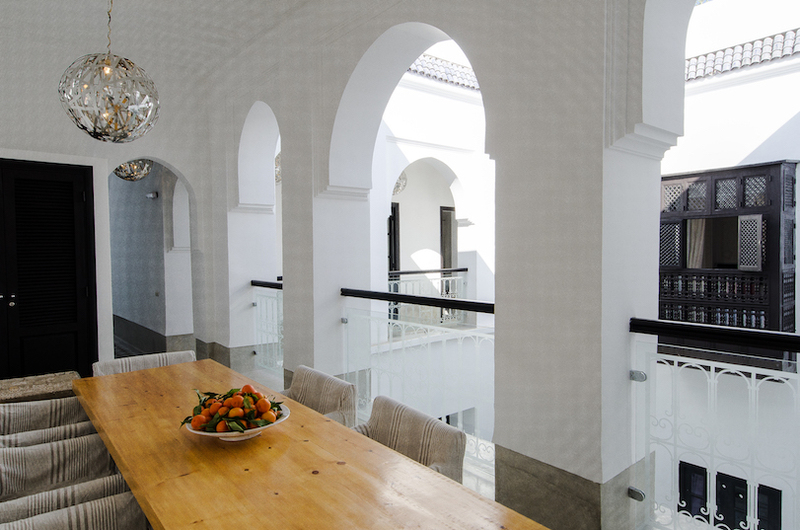 There are two courtyards, each with a fountain. 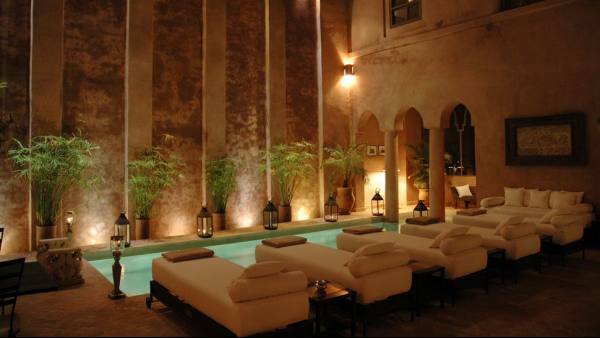 There is a pool in the grand courtyard. 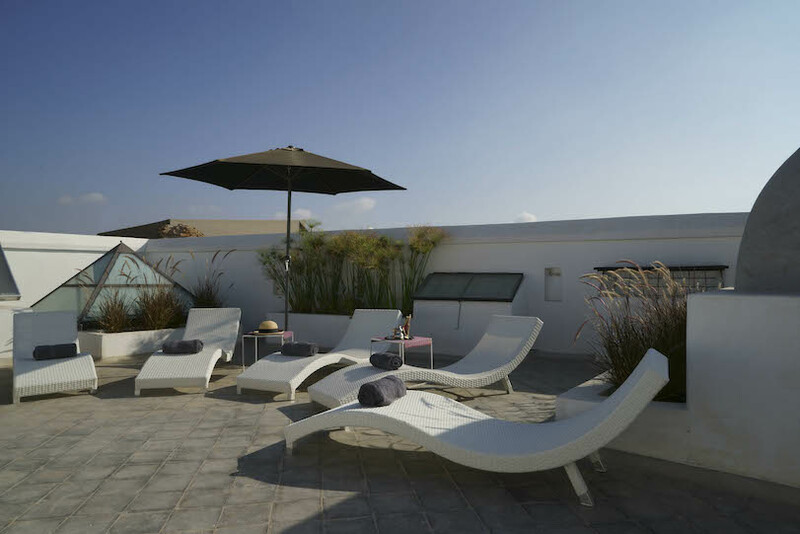 Huge roof terrace with a great view towards the Atlas mountains and a space with sunbeds for relaxing. 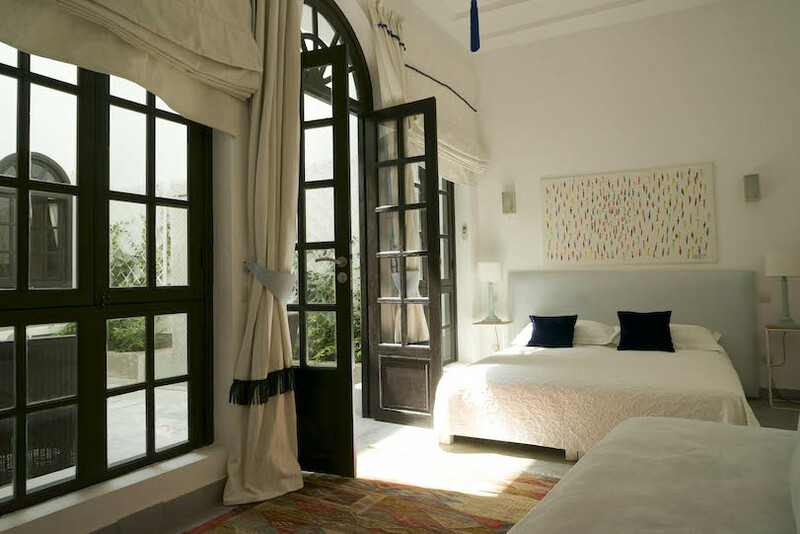 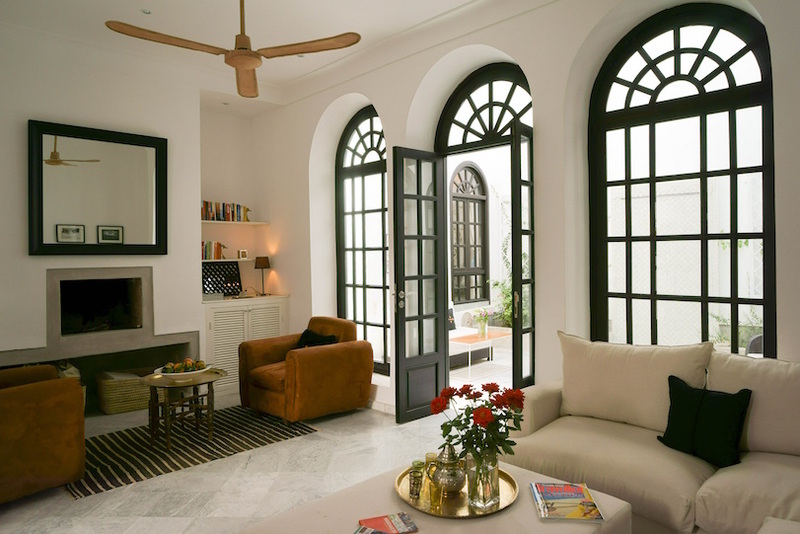 The design is an understated 20’s colonial chic style with a modern twist – the confluence of the best of Moroccan architecture and the space and light of modern architecture. 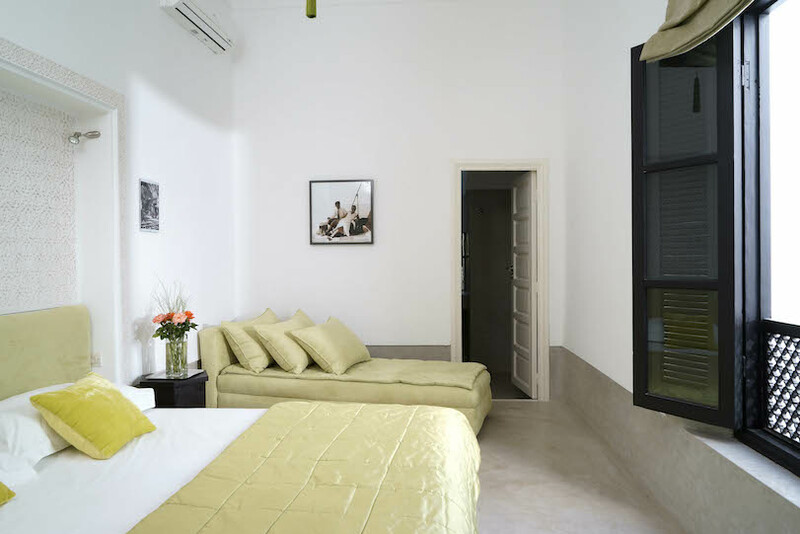 All suites are individually decorated and are light and airy, decorated in a soothing, minimalist style with modern comforts. 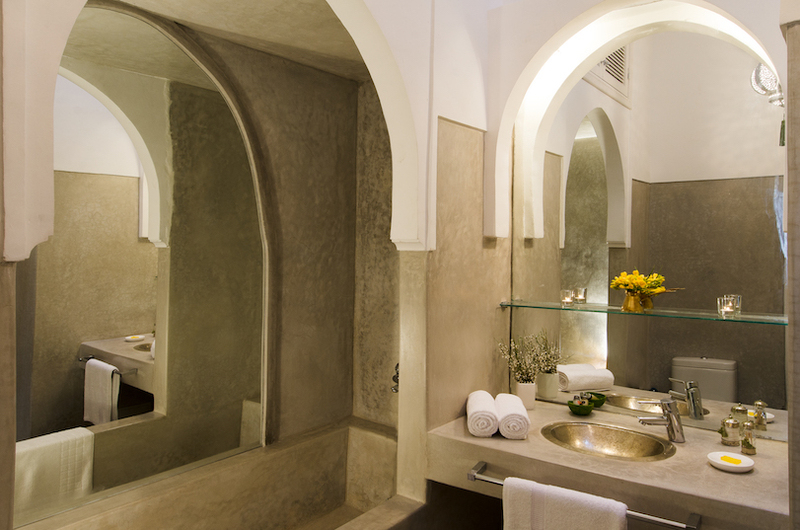 The hotel has its own private hammam and relaxation room, also a massage room and offers beauty treatments. 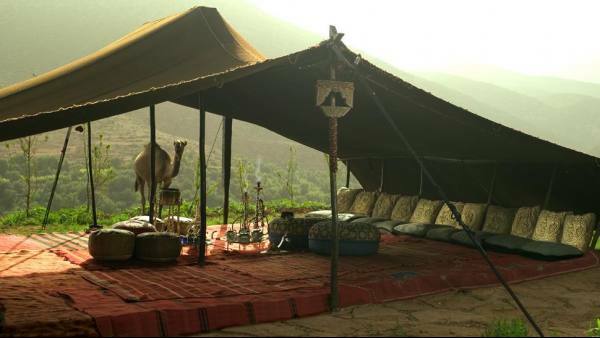 They serve home-cooked meals, Moroccan or European, much appreciated by the guests. 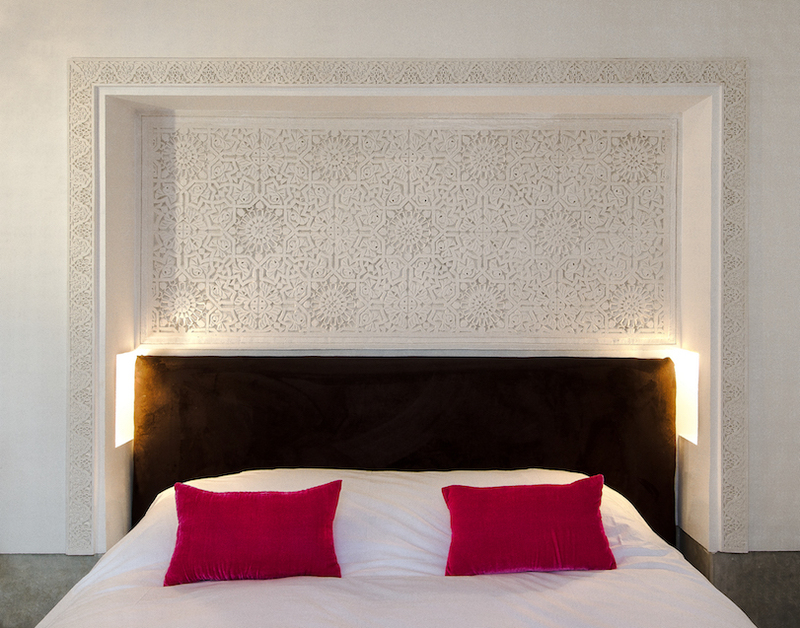 The best way to experience Marrakech is to stay in a riad in the heart of the medina, the old city of Marrakech. 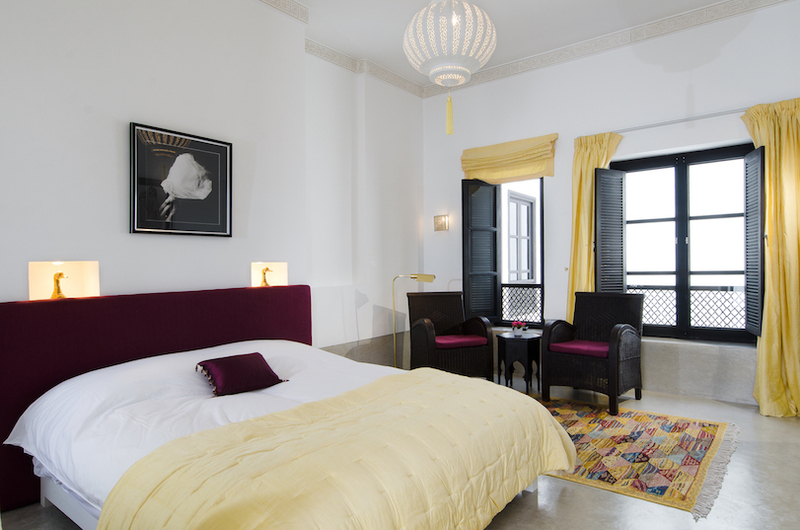 Riad Sapphire and SPA aims to give guests a ‘real’ experience and enjoy a more affordable kind of luxury in a stylish property. 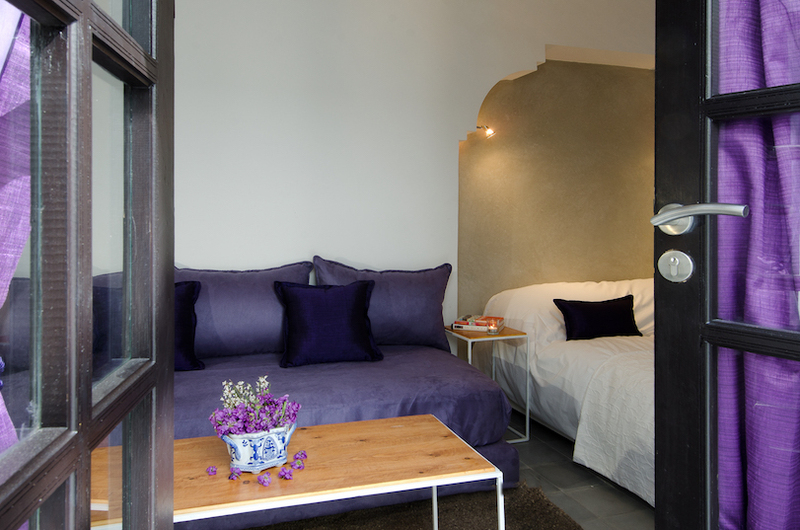 30% off to May 31st, 2016. 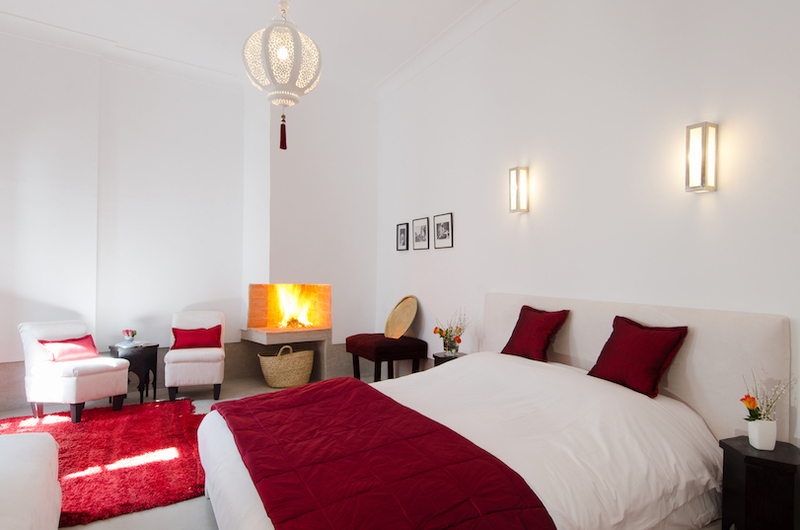 From 91 euors per night Includes freshly-prepared breakfast, all local taxes, VAT, in-room safe, WiFi. 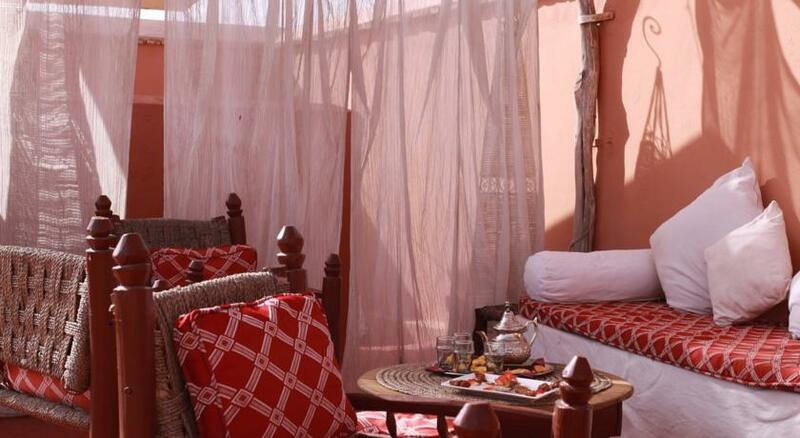 Welcome Moroccan mint tea and pastries. 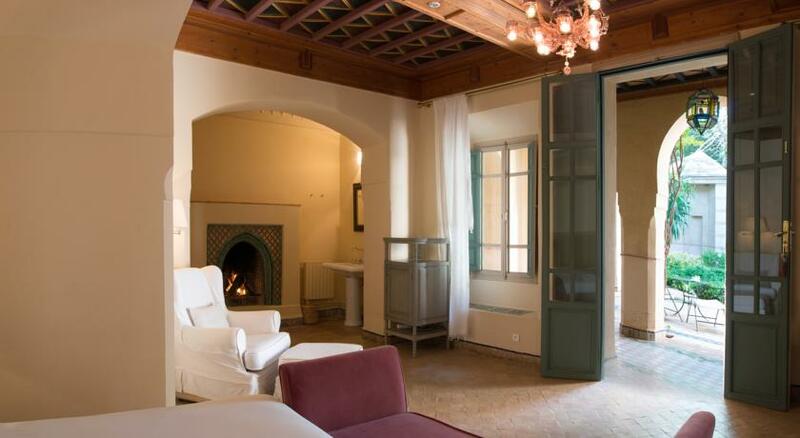 We also have a fabulous discounted Spa Package, from 475.50 euros for 3 nights, includes accommodation, two three-course meals, two hammams and two one-hour massages. 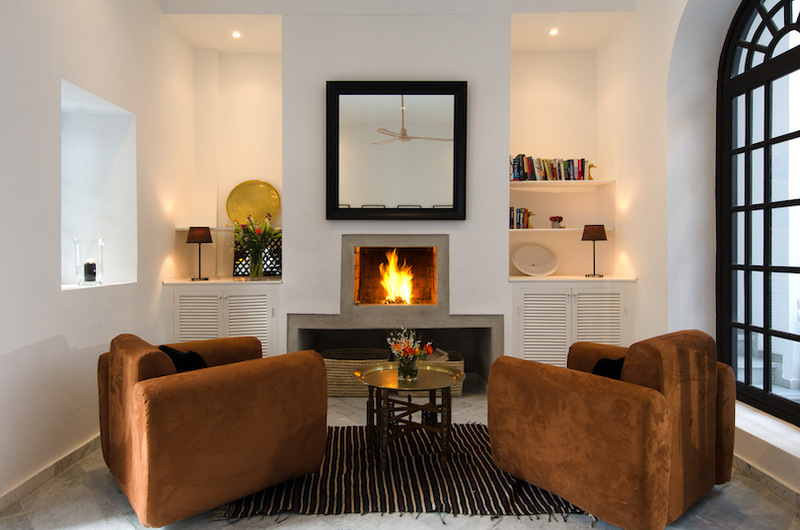 Ideal for family reunions, meeting up with friends, hen parties.